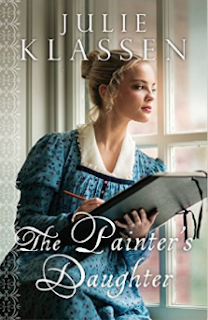 Through the Bethany House Blogger Review program, I received a copy of Julie Klassen's newest book, The Painter's Daughter, in exchange for a review. I've reviewed one of Julie's books before (here) that I purchased myself and have picked up a few more since then because I truly enjoy her storytelling. So obviously, I jumped at the chance to grab her latest for a review! A quick synopsis: Sophie Dupont is the daughter of a painter, residing in a picturesque English seaside town where many artists come to paint the beautiful landscapes of the region. Her father runs an art shop selling supplies and also paints. She finds herself pregnant out of wedlock, until an unlikely hero - the brother of her child's father - appears and offers to marry her to save her reputation and "do his duty" on behalf of his family. Captain Stephen Marshall Overtree is on leave from his duty with the infantry when he stumbles upon Sophie while searching for his brother. Their marriage sets them on a journey to love through mistrust, faith, in-law conflict, and separation by war. My thoughts: This is a beautiful, while somewhat unlikely, love story. I wish the "love" part of the story had been developed more. A key component of the story - crisis pregnancy - is so relevant in current US society with the choose life movement, and this moved me to do more for women facing that issue here in my community (more on that later). Sophie approached that by placing her faith in the Lord. Most particularly, I loved that Ms. Klassen shared the Gospel message in a very straightforward way on page 154, "Did she know the matchless peace that came from God's merciful grace--sending His Son to die to pay the price for mankind's sins, so all might live with Him, forgiven, forever?" I enjoy a good story where the heroine is swept off her feet by a truly good man. Ms. Klassen made me feel for the characters, whether that was anger, sadness, joy, etc. and I think that is one of the signs of a good book. Another great Regency read! Picture me sitting down in front of my little silver laptop and cracking my knuckles over this page. Ah, where to begin? I feel like I've experienced an entire lifetime in the past month, but how do I explain it when I am yet still processing it? On December 12th, I lost a family member--my uncle, my mother's brother, the father of my 3 teenaged cousins. He was only 10 years older than me and 13 years younger than my mom. The loss is devastating. The funeral was a week before Christmas eve, smack-dab during the most wonderful time of the year. 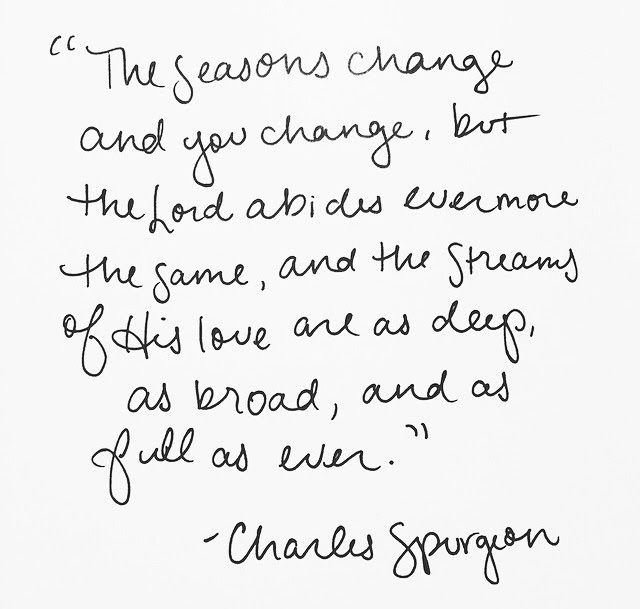 It's very hard to make merry when you are in the midst of that pain, even for a follower of Christ. 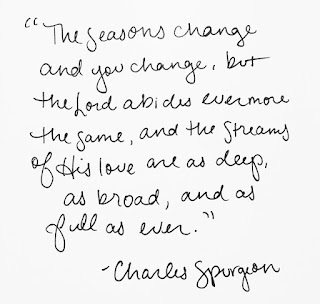 While there may be joy in the season, there is sorrow of the heart with the knowledge you won't have a chance to see a loved one again in this life. And it was exactly as bad as I always thought it would be to explain death to my little guy. We've shielded him from that harsh reality of life up to this point, but there was no way around it. He knew Uncle T, and he understood the conversations happening around him. Of course during our short discussion, the dreaded question came: "So will you die, Mama?" I managed to keep it together until I left the room. I have some great pics of the kids from the holidays that I'd like to post, but I can't do that without first acknowledging that this Christmas was a very hard season for my family. If you ever need a resource, our preschool minister provided the book Someone I Loved Died. It's an age-appropriate biblically-based explanation of death and going to heaven for the believer in Christ.